Home Blog Why is Paternity Leave important? Maternity leave is a guaranteed constitutional right in Ethiopia and employees are granted up to 4 months of paid leave by the law and most firm respect this right while others extend it further to 6 months. While there is international consensus on the benefit of maternity leave, there is a much less common but much needed type of leave necessary for both newborn development and maternal recovery. Paternity leave is a period of absence from work granted to a father after or shortly before the birth of his child. 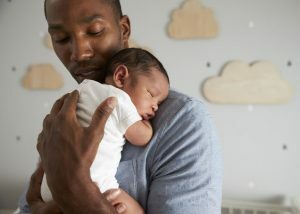 Fathers who take paternity leave play an equal role in the difficult first few weeks of newborn development. Engaged fathers that start parenting from the early stage tend to stay more active in the child’s life as he or she grows up, creating a more even distribution of household and baby responsibilities and avoiding the creation of a second shift for any full-time working mother. Paternity leaves although important, have been ignored by laws and employers alike. Unlike maternity leave whose origins are mostly medical, paternity leave is seen as luxury and the benefits aren’t obvious. However, paternity leaves can be quite instrumental in shifting the current patriarchal nature of the work-world as it shapes domestic and parenting habits as families are forming. A husband that is more available in child rearing and housework is clearly a plus. Making the women the true beneficiaries of paternity leave. One of the major reasons for the current unequal workspace is the burden at home for Ethiopian women and sharing that burden between spouses only furthers the women’s equal footing in all aspects of society. Paternity leave has been shown to boost male participation in the household, enhance female participation in the labor force, and promote gender equity in both domains. In other words, it’s a good economic strategy for governments and businesses, because it narrows the gender pay gap and helps to ensure that women return to the workforce after having children.